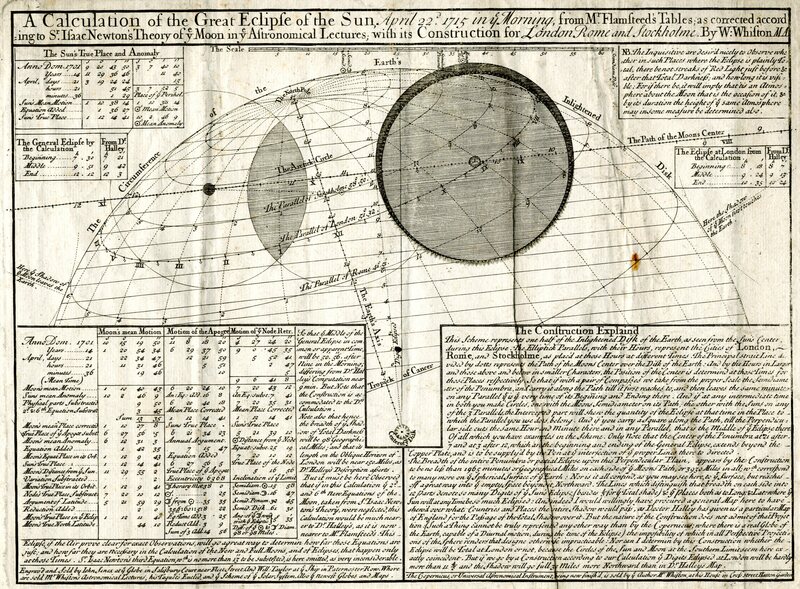 The craftsmanship that went into those maps is amazing to me; it is difficult to imagine a modern scientist in a harried lab spending long hours putting calligraphy pen to paper and drawing such geometric curves with their own two hands. A beautiful product. I would like to know more about the process by which these broadsheets were produced – I’m sure they made good use of the skills of professional cartographers, draftsmen and engravers. 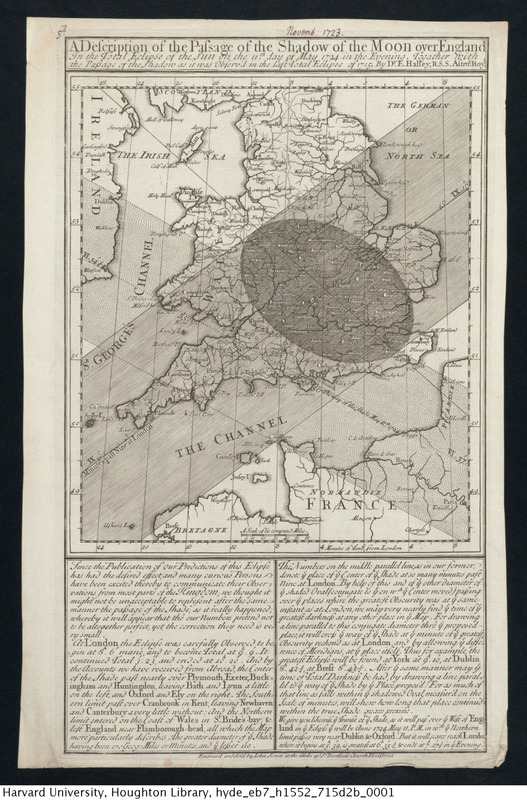 It seems clear, though, that Halley had a good eye for how maps could be used to carry different kinds of information. One wonders about the print run for this kind of broadsheets, who read them, how they were distributed &c. (This is not my century, I mostly do 19th and 20th century astronomy, so the question is probably banal.) 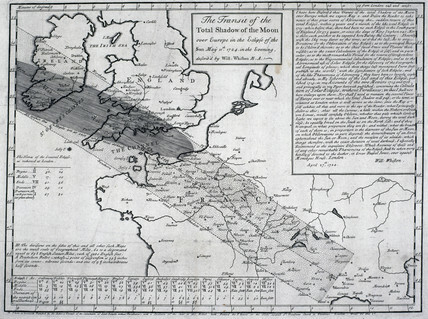 In Sweden, the closest analogy I can think of are the almanacs of the early 18th century containing eclipse predictions; they were of course bestsellers but their graphical layout – I’ve looked a bit at early 18th c. almanacks by Birger Vassenius – are a lot less impressive than these magnificent broadsheets. 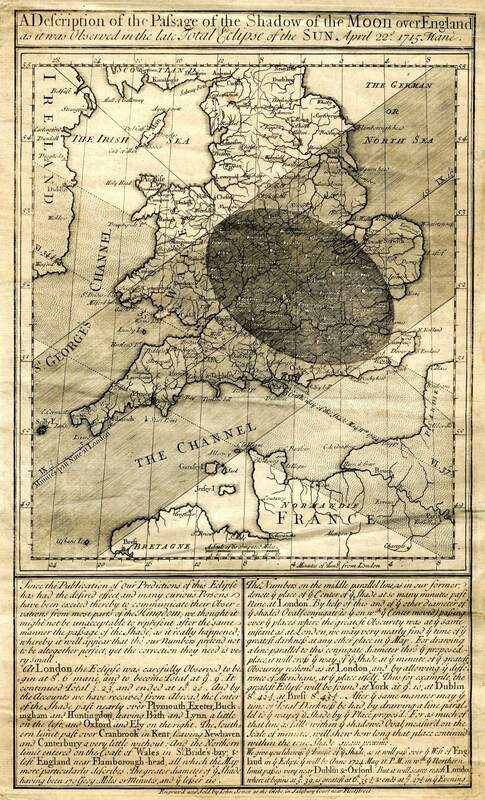 Imagine buying them at a bookseller’s shop some months before the eclipse! 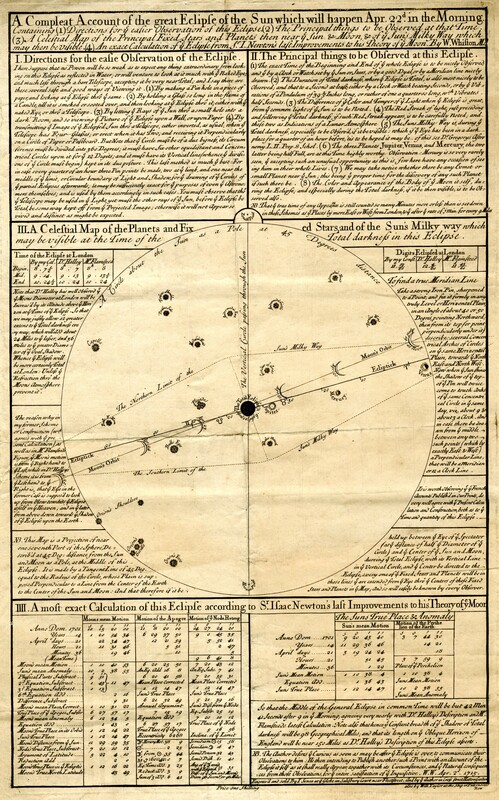 It is difficult to find out print run and distribution, although the prices are know (6d for Halley’s first map). 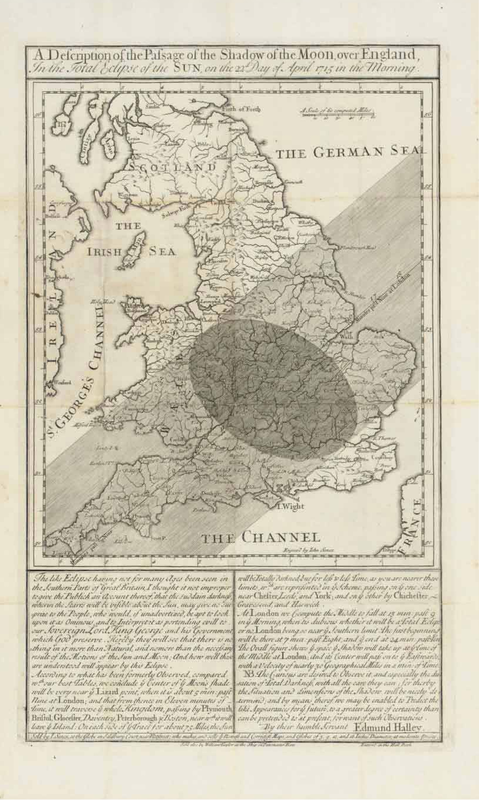 There is some detail about the advertising in Alice N Walters’ 1999 article on eclipse broadsides (the whole issue of History of Science it appeared in is available as a PDF here: http://www.shpltd.co.uk/hs.pdf), also Pasachoff’s article linked above. I suspect claims for the effectiveness in terms of promoting useful observations were probably rather over-stated, but evidence of second editions and so on suggest they were popular.